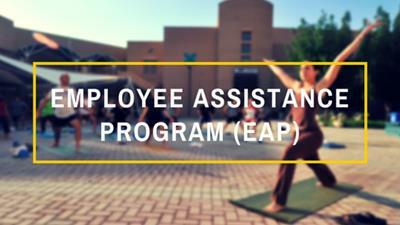 We offer Employee Assistance Program for organization serviced by Access EAP. Access EAP provides EAP services to a range of organisations including small businesses, large corporations, public bodies, schools and government departments. The Employee Assistance Program aims to work in conjunction with any pre-existing or structural HR or employee support services within your organisation. We offer impartial counselling and advice that works towards the improvement of the emotional well-being of staff and workers. Many employers are now using Employee Assistance Programs as part of their best practice management in HR and overall governance measures. We will always strive to meet the appointment preferences of each individual employee and can offer a range of suitable time slots. Staff can be referred to us through Access EAP, through which we are registered to provide counselling services. The Employee Assistance Program is intended to offer short term support to both employers and their employees. However, longer term referrals can be made after the Employee Assistance Program ends where appropriate using Better Access to Mental Health Services or using the employees Private Health Insurance benefits. The Employee Assistance Program can offer support with work related issues, as well as with a range of personal circumstance issues such as; relationships, family issues, health problems, or financial stress. The Employee Assistance Programs are now considered part of best practice and often provide a useful tool for dealing with employee related issues such long-term sicknesses, staff turnover or grievances.